cirloisn't that a particle or something like that? @TheRealSS Double check the positioning of the two, you might have switched them up in hudplayerhealth.res. How can I move tha chat box? I've had some serious issues with HUD crosshairs ever since the first mm update. I can't get Fog's or Knuckles to work on any HUD, and omni's HUD crosshair installer didn't seem to work either. Even downloading a fresh, updated HUD and trying to enable to pre-installed crosshairs doesn't work. Anyone know what's wrong? Open HudDamageAccount.res and search for delta_item_font & delta_item_font_big, then change the font from chippyBold18OL to HudFontMediumSmall. flumeHow can I move tha chat box? Open basechat.res (Inside the resource/ui folder, if you don't have one take it from the base files or from another hud) then change the ypos value of "HudChat"
machiavelliI've had some serious issues with HUD crosshairs ever since the first mm update. I can't get Fog's or Knuckles to work on any HUD, and omni's HUD crosshair installer didn't seem to work either. Even downloading a fresh, updated HUD and trying to enable to pre-installed crosshairs doesn't work. Anyone know what's wrong? They are not appearing at all? HypnotizeThey are not appearing at all? Nope. And I've double and triple checked everything is properly installed, non-zero size parameters, etc. 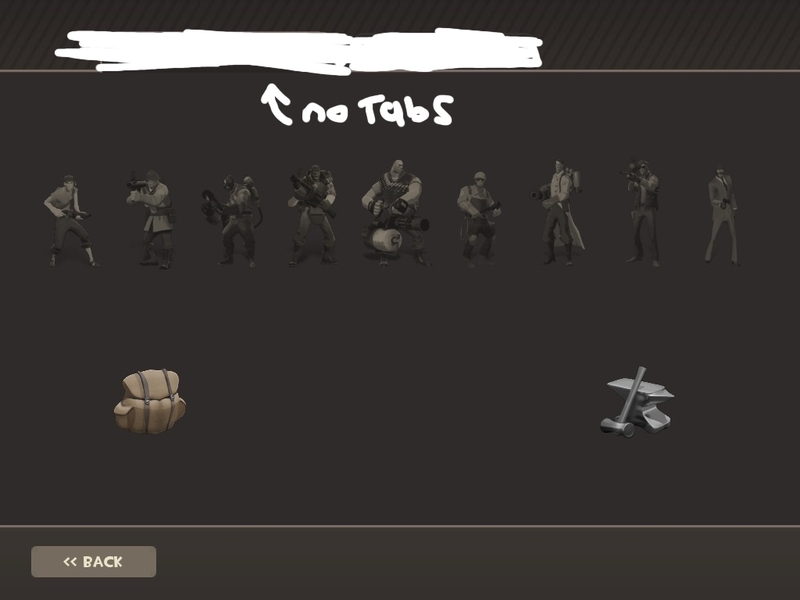 Small question, is it possible to hide the stats tab that's in the backpack screen? I know how to hide it in the loading screens, but not here. Hey guyz, I have an issue with my hud's sitckybomb launcher charge meter. I can change the xpos and ypos but I can't change the lenght of it. I can't change its color either. I'm currently using Broeselhud, but I'd like to have something similar to Takyahud (https://www.youtube.com/watch?v=v1ho04UsOrw). Does anyone know what I have to do? Thanks! ComeInMyCaveHey guyz, I have an issue with my hud's sitckybomb launcher charge meter. I can change the xpos and ypos but I can't change the lenght of it. I can't change its color either. xpos and ypos only affect the positioning of the element. you need to change wide and tall in order to change the size of it. [quote=ComeInMyCave]Hey guyz, I have an issue with my hud's sitckybomb launcher charge meter. I can change the xpos and ypos but I can't change the lenght of it. I can't change its color either. I want to change the Hud I'm using now. I only want to change the HP/Ammo + the chargebars. biskuit ComeInMyCaveHey guyz, I have an issue with my hud's sitckybomb launcher charge meter. I can change the xpos and ypos but I can't change the lenght of it. I can't change its color either. Does anyone know what I have to do? Thanks! xpos and ypos only affect the positioning of the element. Yes I know, I meant that I was able to change its position, but not its length, even if I'm changing the wide and tall. It does nothing for me, even if I set them to super high numbers. [quote=biskuit][quote=ComeInMyCave]Hey guyz, I have an issue with my hud's sitckybomb launcher charge meter. I can change the xpos and ypos but I can't change the lenght of it. I can't change its color either. ComeInMyCave biskuit ComeInMyCaveHey guyz, I have an issue with my hud's sitckybomb launcher charge meter. I can change the xpos and ypos but I can't change the lenght of it. I can't change its color either. [quote=ComeInMyCave][quote=biskuit][quote=ComeInMyCave]Hey guyz, I have an issue with my hud's sitckybomb launcher charge meter. I can change the xpos and ypos but I can't change the lenght of it. I can't change its color either. How do I get the ubercharge meter label under the crosshair? Thanks a lot man, it worked! :D I would never have figured it out myself! The last thing is I can't find a way to change the color of the charge meter when it's not charged. I tried to change the MeterBG in hudlayout but it doesn't do anything, and in HudDemomanCharge, changing the values of fg_coloroverride only changes the color of when it starts charging... Do you have any idea? ComeInMyCaveThanks a lot man, it worked! :D I would never have figured it out myself! [quote=ComeInMyCave]Thanks a lot man, it worked! :D I would never have figured it out myself! Ah, it didn't exist, that's why I couldn't change it! Well, thanks a lot for your help and your time! Does anyone know where i can find it, or how it's called? I got this oxide hud but when I look at someone it doesnt show all the numbers to their health anyway I can make it bigger so I can see? i tried to center the damage number, that would by default be by the health, and that worked. but the problem is that the floating damage number(whatever you call them) are to the very far right, no idea how to fix that. the other problem i have is that im trying to make the font size of the health and ammo smaller, no idea how to do that. Umh if you only want to move the static damage numbers don't do it from the hudlayout but use huddamageaccount instead changing the x value of DamageAccountValue and DamageAccountValueShadow. And if the numbers are getting cut off just increase the wide from the hudlayout. sorry if this already got ask/requested but is there a way to make your clip ammo number change color when you have a specific amount of shots in the clip left independent of your overall ammo in reserve etc?